Choose between Raw, Elements and OCB. Maybe the cones are more your style? You choose! Created with clean cannabis from Titan’s Kind. 2 cookies, 25mg each. Yes they are indica. 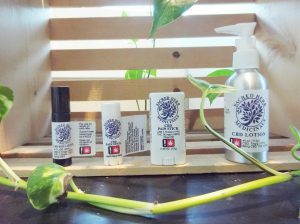 Cannabis-derived CBD lotions. This does mean there are trace amounts of THC. Now also available in powder form! Add to your smoothies, your juice or your meal to give it that extra boost of nutrition!